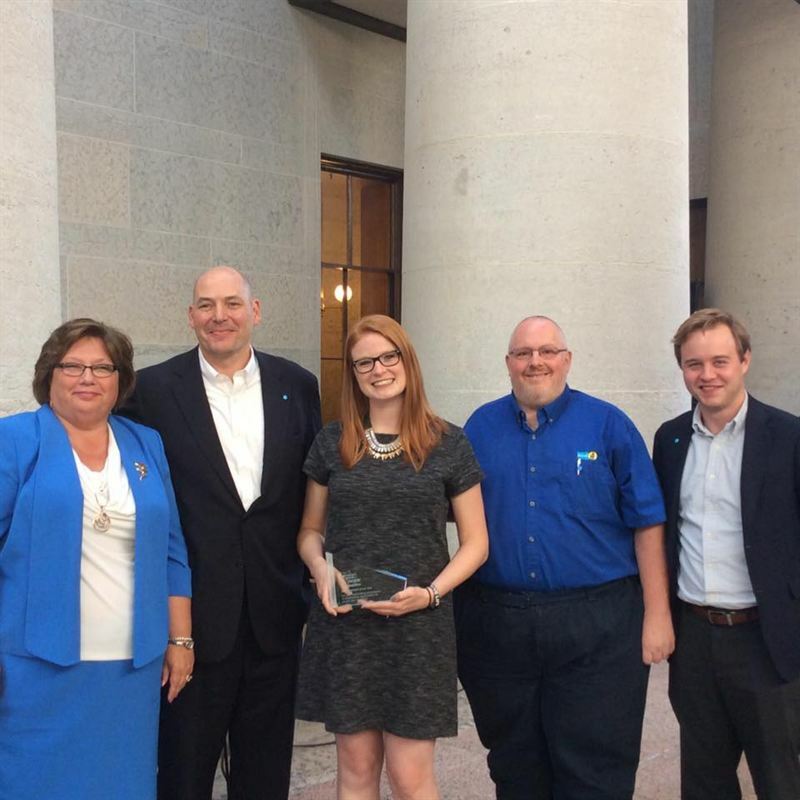 (from L to R): Stephanie Garrett, Ohio Governor's Council on People with Disabilities; Fabian Schmahl, president and CEO of thyssenkrupp Bilstein of America along with thyssenkrupp Bilstein colleagues Kelly Dagilis, Rich Guerin and James Bax. thyssenkrupp is a diversified industrial group with traditional strengths in materials and a growing share of capital goods and services businesses. In North America, thyssenkrupp employs more than 21,000 people across the United States, Canada and Mexico. In fiscal year 2015/2016, thyssenkrupp generated sales of approximately €9 billion ($9.9 billion) in the region, accounting for almost 23% of the Group’s total sales.